There’s a lot of talk in the news lately about conspiracy theory. With numerous examples of fake news, the release of the JFK assassination files and too many instances of people in traditionally responsible roles behaving irresponsibly, it’s easy to understand why. So what makes this topic so compelling? The science behind conspiracy theory sheds an important light on why people behave the way they do and how they make decisions. As a business owner, I find this information extremely interesting from a strategic marketing perspective. Like marketing, conspiracy theory begins with triggering emotions. In some way and at some level, people connect with an event (or brand) in a way that fuels an emotional trigger. 1. Behavioral: Behavioral theory suggests that some people embrace conspiracies because it provides them with a sense of social importance and worth, as if they know something that the rest of us do not know, and this makes them feel special. Behaviorists refer to this as a form of narcissism and self-aggrandizing, and suggest that it is more common in people who feel alienated by society or outcast in some way. From a marketing perspective, we see similar behaviors in individuals who purchase niche and luxury products and services. These individuals also demonstrate behaviors that separate themselves from mainstream society. Their desire for unique and exclusive products and services often satisfies a need for fulfilling a sense of importance through status. Businesses who sell to this market segment, purposefully appeal to this need to gain market share. 2. Physiological: The brain functions across four levels: the instinctive, emotional, intellectual and intuitive. At the instinctive and emotional levels, perceptions about events and experiences are more compelling and sticky than at the intellectual and intuitive levels. The first two levels are reactive and the latter more proactive. When strong emotions are triggered, our capacity to use our intellect and intuition becomes limited and, in some cases, impossible. Road rage is a good example. From a marketing perspective, emotional pulls are one of the most effective techniques for influencing decisions. By using emotional triggers, viewers connect with and care more deeply about a brand, associating the feelings that the message triggered directly with the brand. The Budweiser puppy commercials and the ASPCA Sarah McLachlan ad, which use animals to appeal to viewers’ emotions, are good examples of this type of appeal. When applied to conspiracy theory, triggering the emotional brain can also be just as effective. For example, in the 2016 U.S. presidential election, one candidate ran on an emotional platform, which was to make America great again, and the other candidate ran on an intellectual platform, which was to have a plan for addressing America’s challenges. Managing perceptions is a common aspect in marketing. For example, think about ads on television that ask if you’re experiencing certain types of pain. The message presents compelling evidence about how the medicine offered will solve your problem. By the time the ad gets to introducing the potential serious side effects, the desire to feel better (emotional appeal) minimizes the capacity to be concerned about the potential negative consequences (intellectual assessment). From a conspiracy theory viewpoint, managing perceptions has been utilized in a political sense for centuries. Machiavelli’s “The Prince” is a handbook on how politicians can exploit human behavior for ruthless, self-serving aims. On the surface, strategies were promoted as good for the people. However, the common element used for influencing behavior was fear. This approach can backfire, however. During the recent global recession, economists underestimated how fearfully Americans reacted, which resulted in a more severe economic crisis than originally projected. As a business owner, responsible marketing creates market responsibility. As Sir Walter Scott said, “Oh what a tangled web we weave, when first we practice to deceive.” In short, when weaving lies and acting in dishonest ways, be prepared for the problems and complications which you cannot control. Better yet, be genuine and honest in your marketing strategy and reap the long-term rewards. 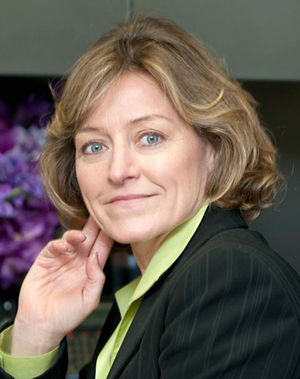 Dr. Deborah Osgood is CEO of the Exeter-based Knowledge Institute.